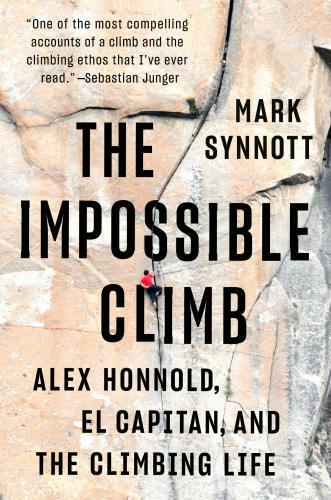 In Mark Synnott’s unique window on the ethos of climbing, his friend Alex Honnold’s astonishing “free solo” ascent of El Capitan’s 3,000 feet of sheer granite, is the central act. When Honnold topped out at 9:28 A.M. on June 3, 2017, having spent fewer than four hours on his historic ascent, the world gave a collective gasp. The New York Times described it as “one of the great athletic feats of any kind, ever.” Synnott’s personal history of his own obsession with climbing since he was a teenager—through professional climbing triumphs and defeats, and the dilemmas they render—makes this a deeply reported, enchanting revelation about living life to the fullest. What are we doing if not an impossible climb? Mark Synnott is a twenty-year member of the North Face Global Athlete team. He is a frequent contributor to National Geographic magazine and has written for Outside, Men's Journal, Rock and Ice, and Climbing. He is also an internationally certified mountain guide and a trainer for the Pararescuemen of the United States Air Force. He lives in the Mt. Washington Valley of New Hampshire.